On Feb. 19, a New York judge denied pop star Kesha's request for an injunction that would allow her to leave her recording contract with Sony and music producer Dr. Luke (real name: Lukasz Gottwald). In October 2014, Kesha filed a lawsuit against Dr. Luke, alleging he "sexually, physically, verbally and emotionally abused" her for over a decade. Dr. Luke denies Kesha's accusations, and in response, has countersued her for defamation. According to the producer's attorney, Christina Lepera, in a statement to Rolling Stone, "The goal of Kesha's counsel throughout has been to obtain a more lucrative contract through a shameless campaign of outrageous claims." However, Kesha's attorney, Mark Geragos, told Billboard in an October 2014 statement that the singer is merely trying "to regain control of her music career and her personal freedom after suffering for ten years as a victim of mental manipulation, emotional abuse and sexual assault." So, how can fans support Kesha in the wake of the ruling? There are a few simple ways. Though Kesha's case has been going on for well over a year now (and is far from over), the Feb. 19 ruling dragged it out of the shadows and into the spotlight. In fact, over the past several days, fellow artists like Lady Gaga, Ariana Grande, Demi Lovato, Fiona Apple, Miley Cyrus, and Taylor Swift have publicly expressed their support for the "Tik Tok" hit-maker. Shortly after the ruling was announced, Swift donated $250,000 to Kesha to "help with any of her financial needs during this trying time"; fun. 's Jack Antonoff offered to make music with her and then "leak it for everyone" so as not to violate her contract; and Lady Gaga even dedicated her Oscars performance of "Til It Happens To You" to her. Understandably, many of Kesha's fans are now wondering how they too can come to their idol's aid. Fortunately, there are things all of us — not just celebrities — can do to support the pop star. Regardless of the veracity of Kesha's claims, keeping the conversation going could encourage women to choose to speak up when they they've allegedly been sexually assaulted. Until recently, Kesha's case has largely flown under the radar. And while the public's increased interest in the legal proceedings is encouraging, that interest could quickly fade. (According to Rolling Stone, the star's next court date isn't until May 16.) So, fans can support Kesha by simply staying informed about the situation. Consider setting up a Google Alert for "Kesha" to help you keep up to date on all of the latest developments. And when you start conversations about the case with those around you, be sure to keep the dialogue centered on the singer. In the wake of the ruling, fans chose sides in an alleged feud between Taylor Swift and Demi Lovato about how best to support Kesha, a situation which Bustle writer Jamie Primeau rightly pointed out "shouldn't be about these two at all." Not only do we need to keep talking about the case, we need to make sure we're not losing sight of what's really important: Kesha. 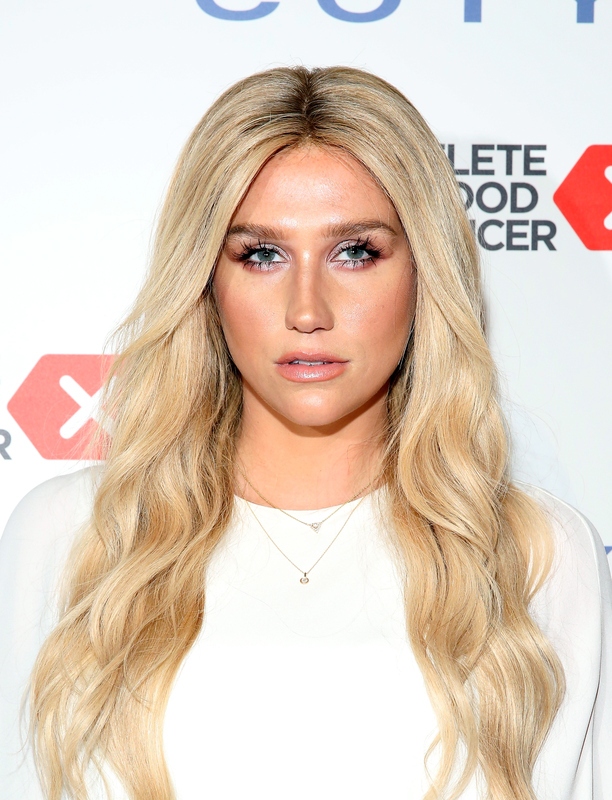 A recent GoFundMe campaign was launched by Brandon de la Cruz, a fan who claims he's hoping to raise enough money to "buy Kesha's contract from Sony." According to GoFundMe Media Director Kelsea Little, "GoFundMe's priority is to get the funds to the intended beneficiary. If we are unable to do so, we will refund the donors." Remember: Although the $250,000 Kesha just received from Swift may seem like a lot of money, as ThinkProgress's Jessica Goldstein points out, it would "barely make a dent" in what she would likely owe for the multiple albums left on her contract. Still, according to de la Cruz's GoFundMe page, Kesha will allegedly receive 100 percent of the donations raised by his campaign — regardless of whether or not it reaches its ambitious $2 million goal. Bustle reached out to Sony's lawyers for comment on whether or not it is possible for Kesha to buy out of her contract with them, but had not received a response at the time of publication. As you can see, when it comes to Kesha, there are ways all of us can help.